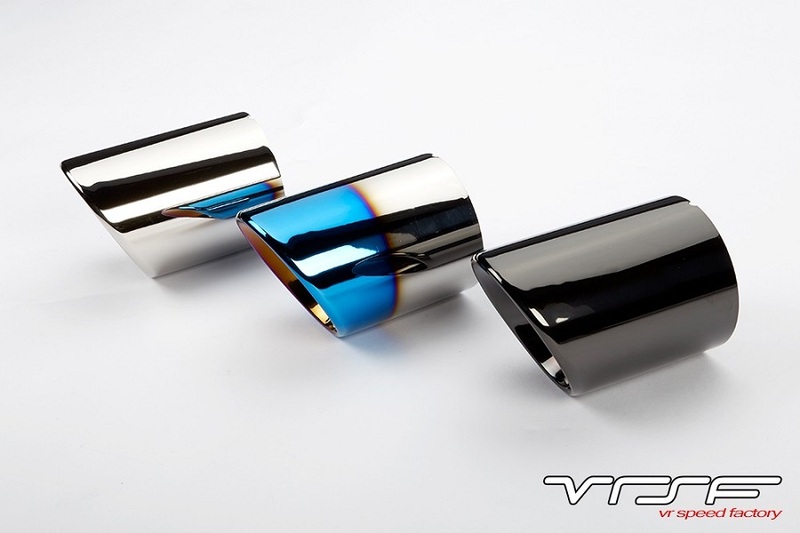 We are proud to introduce our VRSF Stainless Steel Race Muffler Delete for the E90/E91/E92/E93 BMW 335i/xi/is. This muffler delete is one of the most cost effective exhaust modifications available for your N54 & N55! By eliminating the incredibly restrictive OEM muffler, back pressure is reduced significantly which results in faster spool, an increase in power & a more aggressive exhaust note. This product was designed and engineered for to fit on both the N54 & N55 version of the 335i and 335is in both RWD & AWD configurations. The difference in both power and sound are be noticeable the moment it is installed! 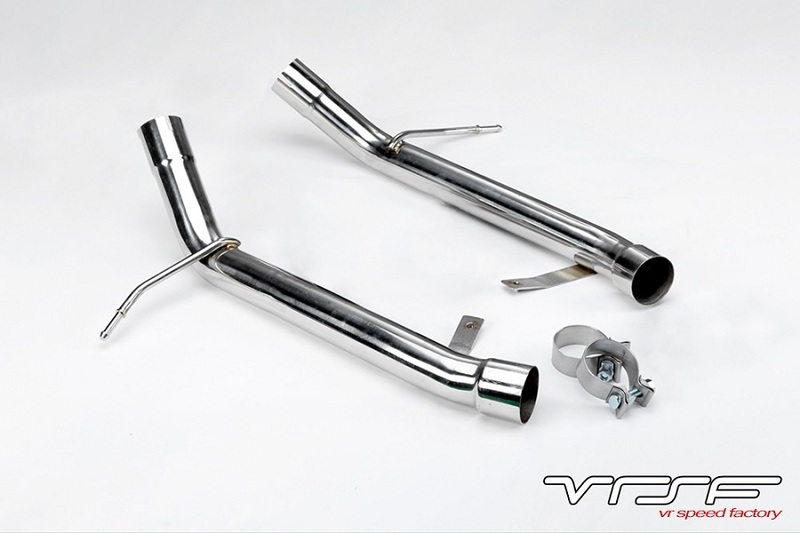 Please note that cutting of the factory exhaust is required and that we include everything necessary for installation including installation hardware. These are available in multiple 90mm slip on muffler tip configurations displayed below. Please note that these tips do not require install hardware. Hand made from mandrel bent, tig welded 2.5" 304 grade stainless steel. Brushed finish with the option of 90mm Bright Polished, Chrome Black or Titanium Tip finish. Quicker spool and improved exhaust note.